The Dell S2718H is a “virtually borderless” display featuring the company’s InfinityEdge display technology. It also features HDR tech and perhaps surprisingly for a Dell non-gaming monitor with a recommended native 60hz refresh rate AMD’s FreeSync functionality is included too. The S Series range is pitched below the more premium UltraSharp brand, positioned to “maximize your media entertainment and home computing experience”. 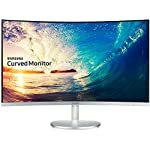 The monitors in this series most likely represent better value for money to non-professional screen users who don’t need the top end experience and would rather save some money in the process. It is also available in a larger 27″ version. The monitor design is straight forward and reasonably attractive but lacks the polish of the UltraSharp range – you get what you pay for I suppose. Still, it has a professional feel and will look good in a home office. The stand offers very limited adjustments with no height or rotate capability and sadly there is no VESA mounting option either so your stuck with the default positioning. On the plus side, the InfinityEdge super thin bezels do make this a great choice for a dual monitor setup with minimal interference down the middle. Video input ports are on the limited side, the Dell includes an HDMI and a VGA port, which will ultimately keep most people happy. Modern graphics cards will easily hook up to the HDMI and legacy analogue PCs will still work over VGA if you have an older setup. This doesn’t give a lot of flexibility though, a DisplayPort input would have been good, or even multiple HDMI for those that might want to hook up a second device. The audio quality on the S2718H is commendable and actually punches above expectations for this price point. You might still want to use separate speakers or a pair of headphones if watching movies or indulging in games but for normal use the speakers are good enough. 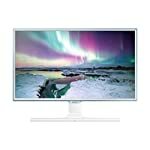 As expected from a Dell monitor with an IPS panel, the colour performance is very respectable offering 100 per cent of sRGB and a commendable 78 per cent of AdobeRGB. Professional testers report back that brightness and colour uniformity are reasonable, with colour accuracy also being acceptable if not at the same level as the factory calibrated UltraSharp models. 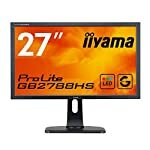 This is to be expected though at this price point and as always when buying monitors if you want the best available you’ll have to reach into your pocket and pay a little more. This is a monitor that won’t blow you away but then you aren’t paying top dollar for that experience. 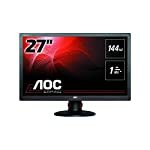 It’s a screen that is best suited to office use, multimedia viewing, and occasional gaming. FreeSync is a welcome addition for AMD GPU owning gamers, you’ll need one of their graphics cards to use this feature. The screen is limited to 60hz so the serious game players won’t be considering this anyway but FreeSync will help provide stable tear free images for those with a PC that struggles to output enough frames to maintain the monitor’s maximum 60 frames per second refresh rate. We give the Dell S2718H a 4.5 out of 5 rating. Want to know what existing owners of the monitor think? You can read real user reviews here. Should I buy the Dell S2718H? The S2718H is a good all rounder from Dell. You get the expected build quality and performance you would want from a mid price Dell model. It is out classed by their more premium models of course but that should be no surprise. However the ultra thin bezels give it a nice premium look and feel and the inclusion of FreeSync should give an added incentive to choose this over the competition. If you are having some doubts about this purchase then why not read some real owner reviews and see what other buyers think. Welcome to the Dell S2718H FAQ. This section attempts to answer common questions you may have, please get in touch if you have any more queries or if you think our answers need updating. 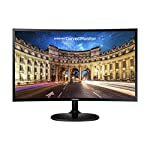 Can I VESA mount the S2718H? No. There is no mounting option and the supplied stand is not the most flexible out there, the only adjustment you can make is to tilt it. What is IPS Glow and Backlight Bleed?